Gorgeous trends at its best. Held around a month before the Oscars, the haute couture fashion shows are a great opportunity for celebrities to pick red carpet outfits for the prestigious Academy Awards ceremony. From Dior and Elie Saab to Zuhair Murad, Georges Hobeika and Giambattista Valli, here's a look at some of the most sumptuous gowns spotted on the Paris catwalk, which could be making an (other) appearance on February 26. With volume, length, fluidity and intricate embroidery, this sumptuous gown ticks all the boxes as a potential red carpet contender for 2017. 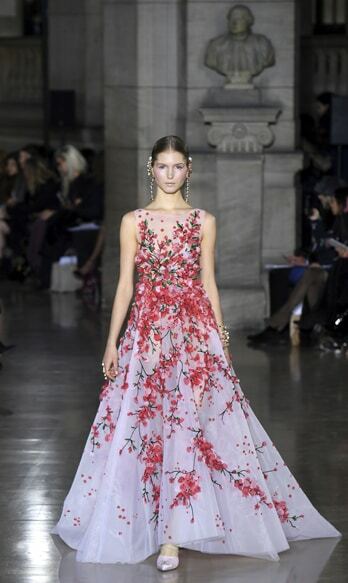 The embroidered flowers seem to climb from the bottom of the dress, blooming into a bouquet at the waist and bust, adding a romantic touch that could appeal to several stars. 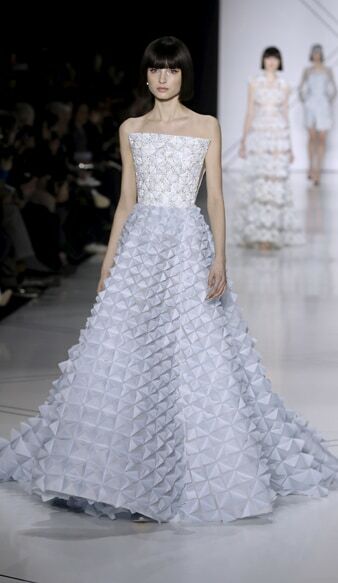 The gowns in Maria Grazia Chiuri's ethereal collection for Dior Couture created a real buzz. These feminine creations shine with zodiac signs and embroidered sequins, plus pleats, mesmerizing reflections and metallic shades. The collection's strapless dresses, shift dresses and slit dresses are sure to find a place on the red carpet at this year's Academy Awards in February. 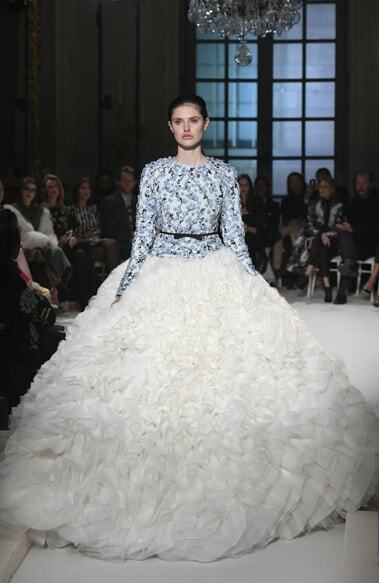 Red carpet regular Giambattista Valli is likely to score a hit once again this year with its majestic full-skirted ball gowns and sexier creations cut short at the front but with long trains at the back. Chanel's retro silhouettes, featuring tweed, tulle and feathers, are likely to prove popular with stars of the big screen this February. 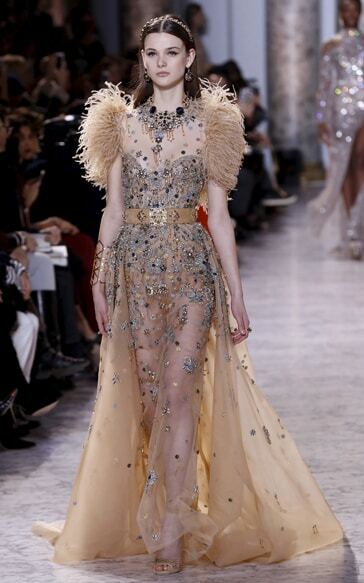 Which star will dare to step out in this see-through Alexis Mabille gown, celebrating the contemporary princess? 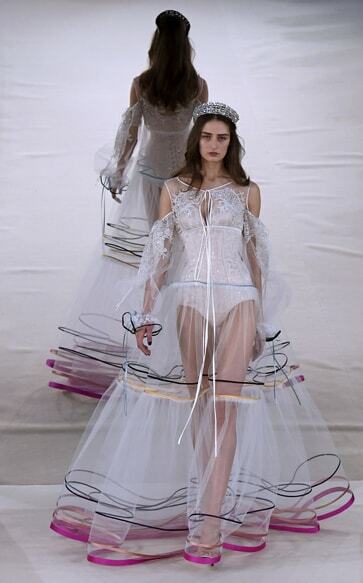 Sober yet sensual, Julien Fournié showcased ultra-feminine creations with asymmetrical designs and creative cutaways. Watch out for them on the red carpet! Could orange be the star shade on this year's Oscars red carpet? If it is, then Giorgio Armani's creations are sure to play a part. With floaty fabrics and embroidered detail, the elegant silhouettes of the latest Elie Saab collection are hot contenders for the Oscars red carpet. This collection pays homage to the world of the arts in Egypt's golden age. 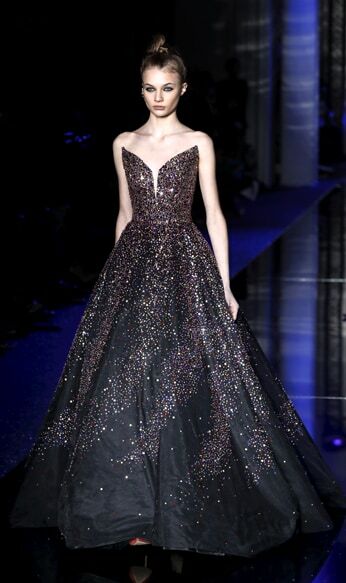 Like something straight from a fairy tale, this gown, studded with multicolored crystals, can't fail to find a wearer for the upcoming Oscars ceremony. Gowns had a Greek goddess vibe at Valentino, with soft, sensual cuts that could appeal to several stars from the worlds of fashion and the movies.